A pure, simple yet striking piece. 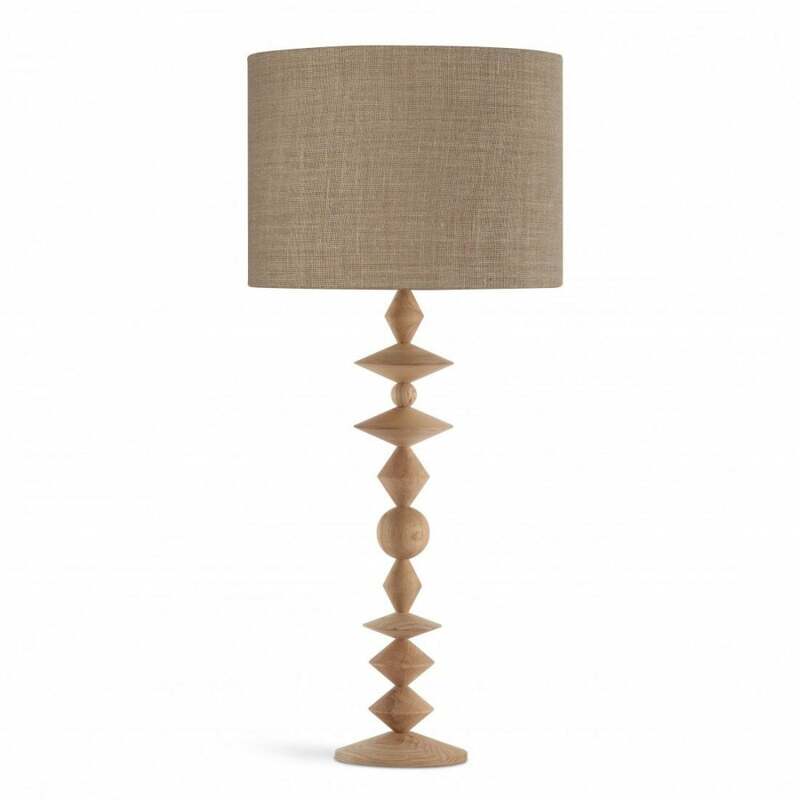 Smooth, turned ash geometric shapes are stacked in a random and irregular way creating a lamp base which adds an almost 'Skandi' cool to a scheme. Its pale, washed, look is Elemental at its core, in terms of material and shape. Hand turned in solid ash, sanded and waxed to a matte finish, this is honest British craftsmanship at its best. We've paired it with a shade in Porta Romana's new grey Geo print which compliments the shapes of the base perfectly. Pure geometrical poetry.